Length: 4 29/32 in (125 mm). The screws on the backplate are just decorative. From Liberty, the Faceted Glass knob adds elegant charm to your room's decor. 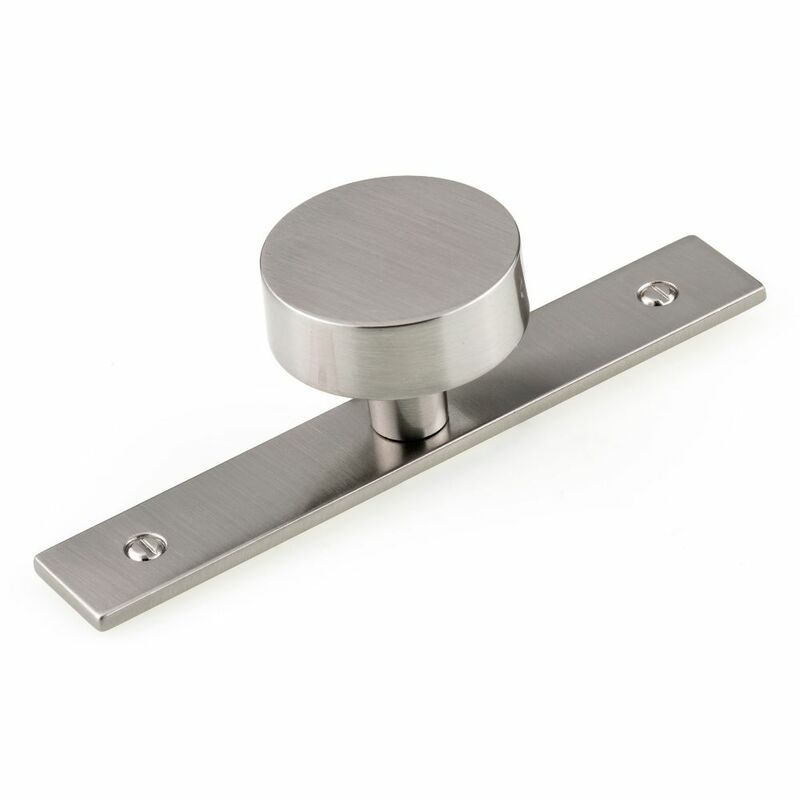 Constructed of faceted glass with a chrome base, this knob is both durable and timeless. Easy to install, with all mounting hardware included. By combining a classic antique look with modern luxury, Kingsley accessories offer the best of both worlds delivering enduring style. A full line of coordinating products is available to complete the look of your bath. Enhance the appearance of your furniture and home dicor with this contemporary knob by Richelieu. Features a trendy finish and an elegant square-shaped design. Time to refresh your dicor with this modern oval knob. Classy and trendy, it is a lovely addition to any home design. Contemporary Metal Wardrobe Knob and Backplate This sleek round wardrobe knob and streamlined removable backplate add a combination of crisp geometric shapes on furniture and cabinetry. The faux screw embellishments add subtle contrast to the backplate's rectangular silhouette.